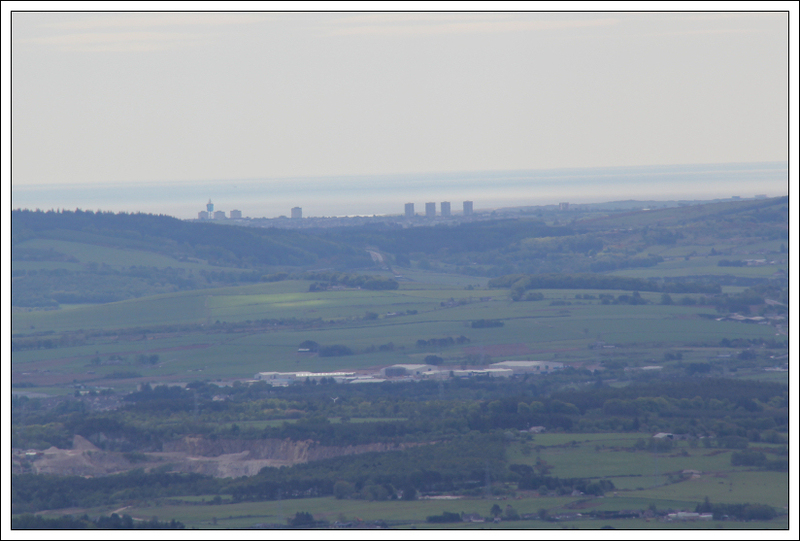 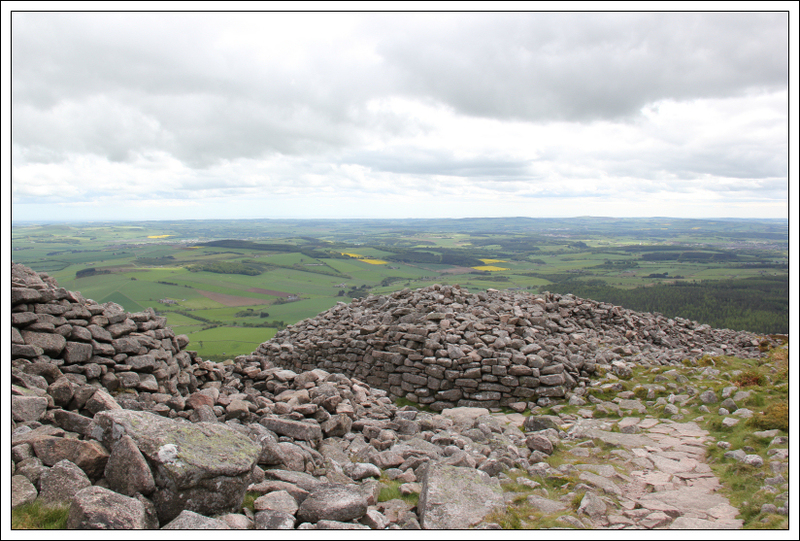 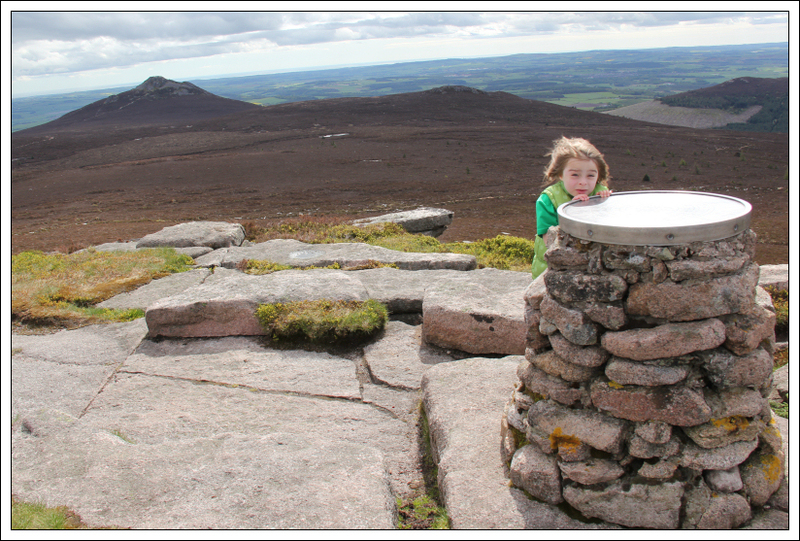 I have ascended Bennachie on numerous occasions. 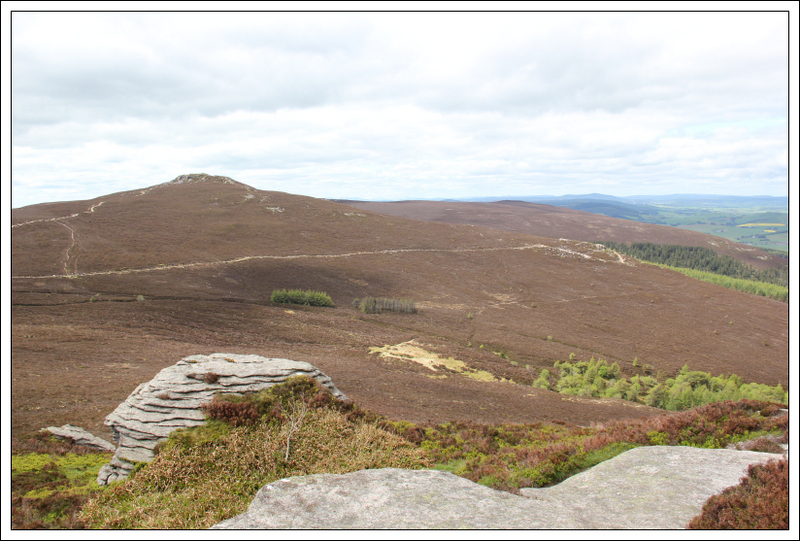 I have also previously documented a Trip Report following much the same route as undertaken today – click here to see previous report. 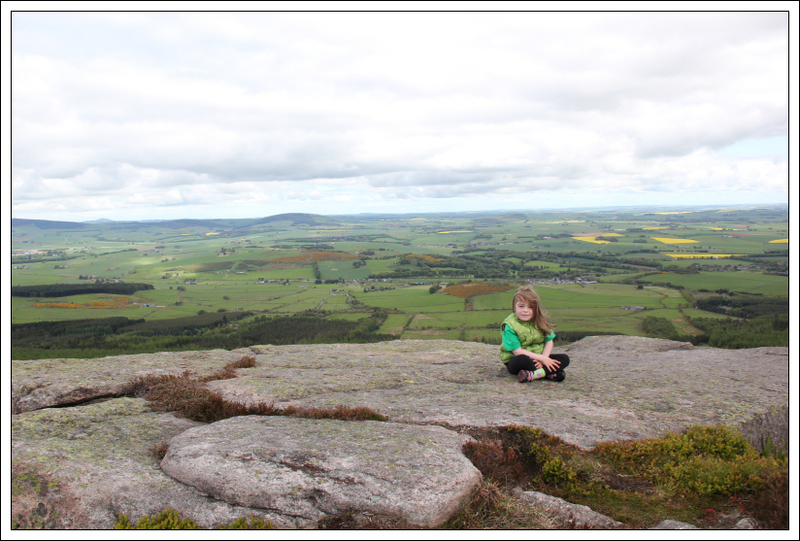 However, today was Becky’s first ascent of Bennachie . 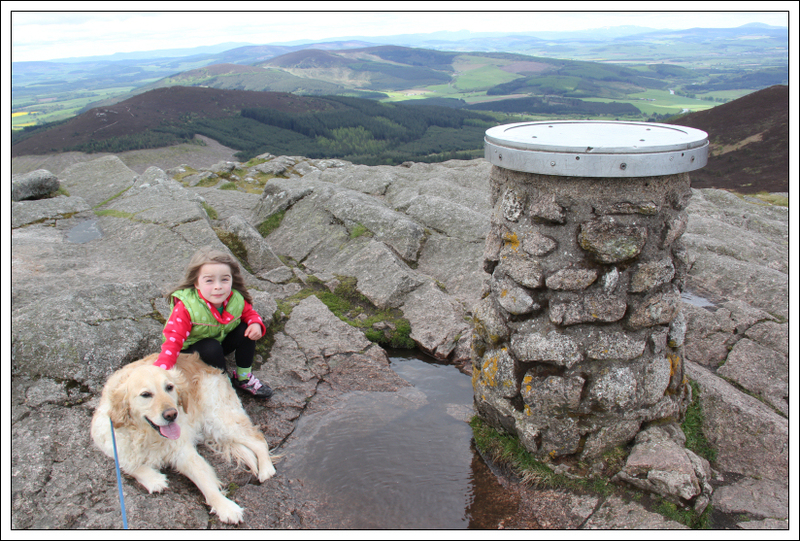 We parked at the Back O’Bennachie car park. 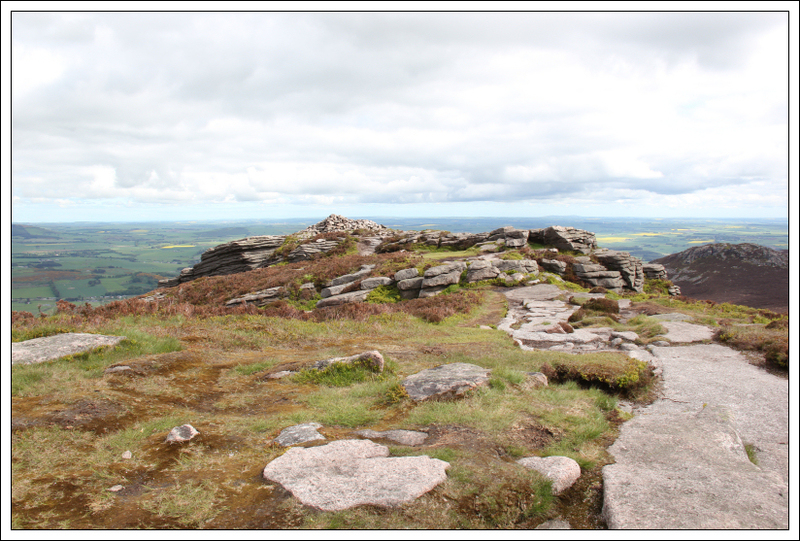 As the land is managed by the Forestry Commission, there is now a £2 charge to park here. 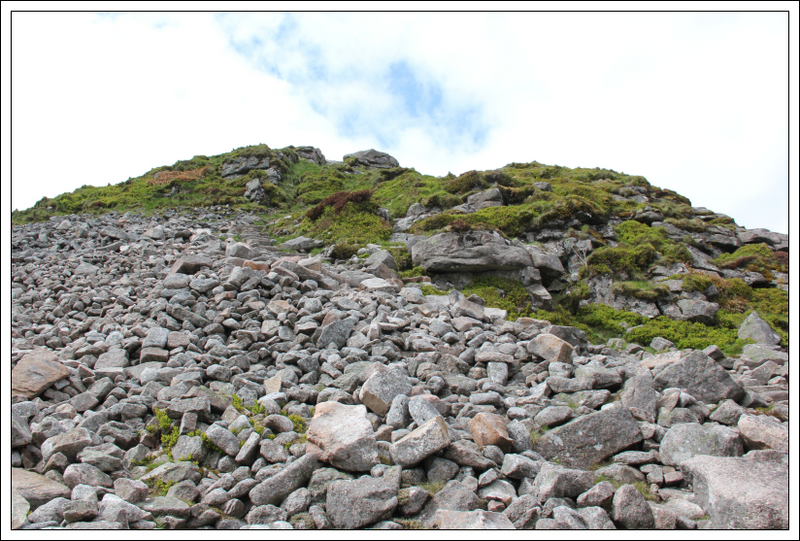 In return for the £2 charge, you get over-sized signage and highly-visible, obtrusive tracks. 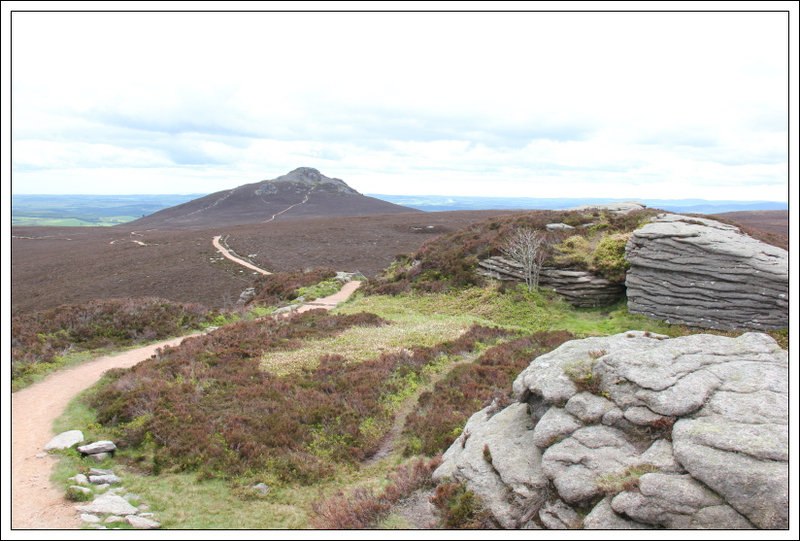 We set off from the Back O’Bennachie car park up the path towards Little Oxencraig. 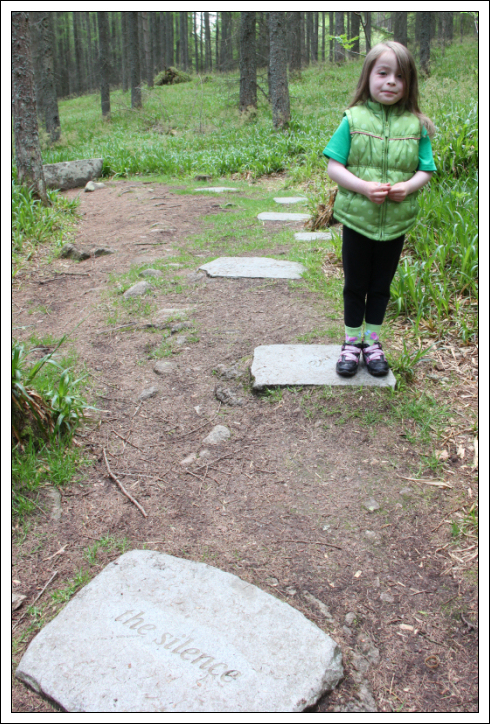 We stopped for a brief look at the stepping stones before continuing up the hill. 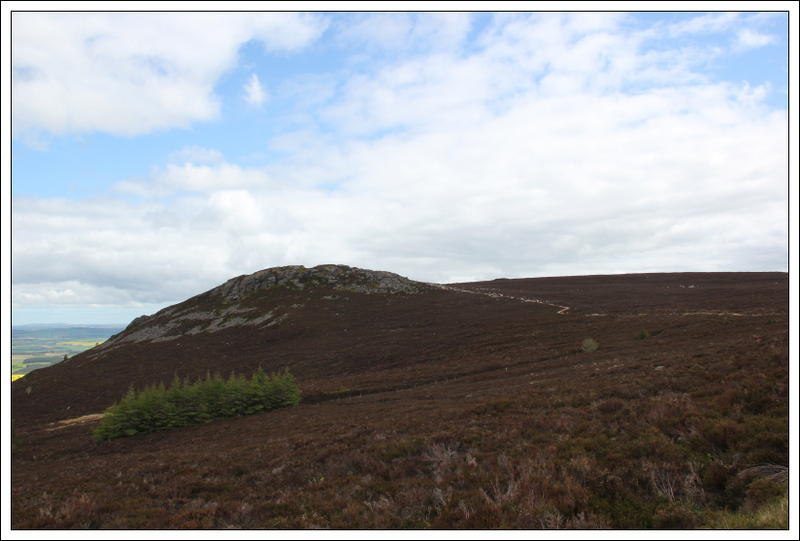 During the ascent from the edge of the forest to Little Oxencraig, we almost had to jump off the path to avoid being hit by a mountain biker who was coming down the path at a rate of knots. 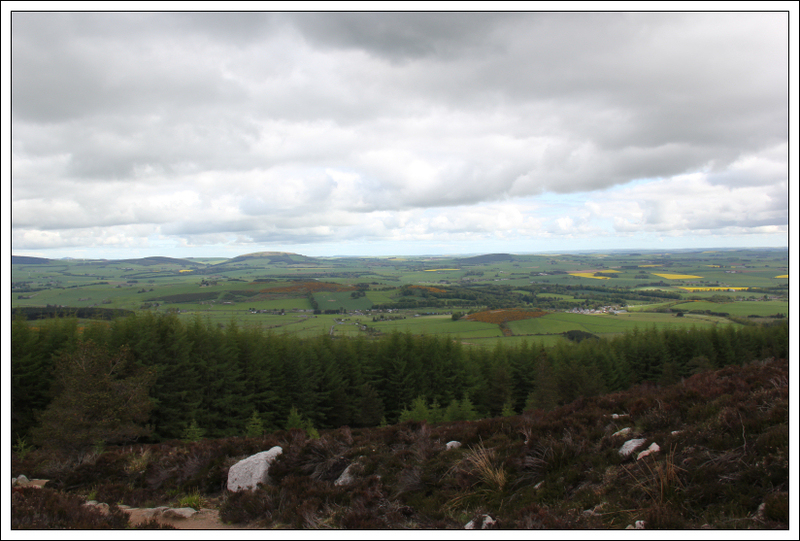 Once beyond the forest there are good views across Aberdeenshire. 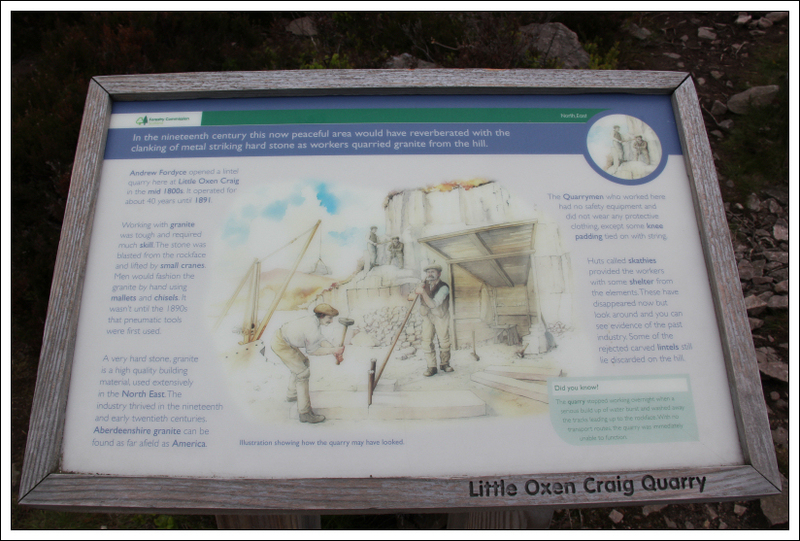 On reaching Little Oxencraig, we left the main track to visit the small quarry and then returned to the track before ascending to the top. 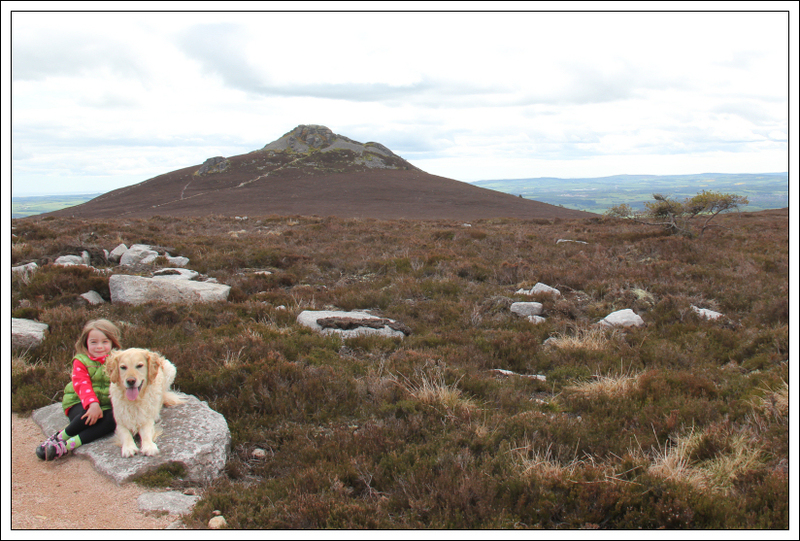 From Little Oxencraig we made our way across to Oxencraig, the summit of Bennachie. 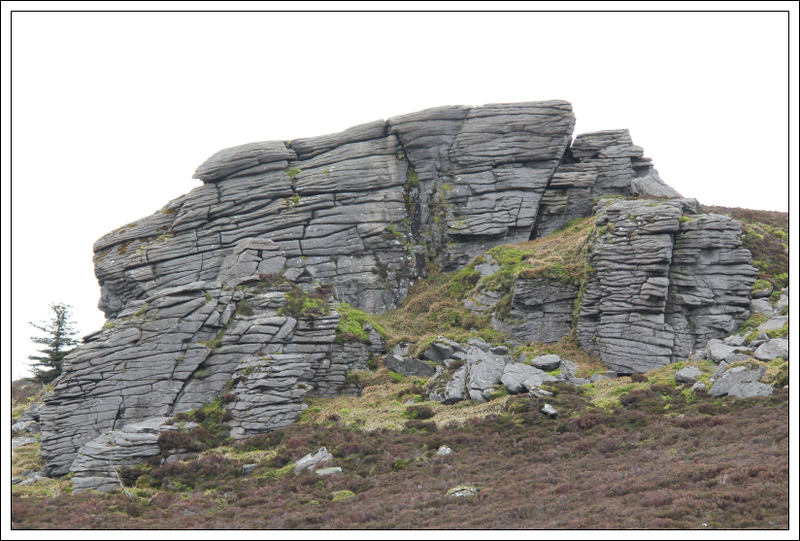 It was a bit breezy today – the weather was not as good as forecast. 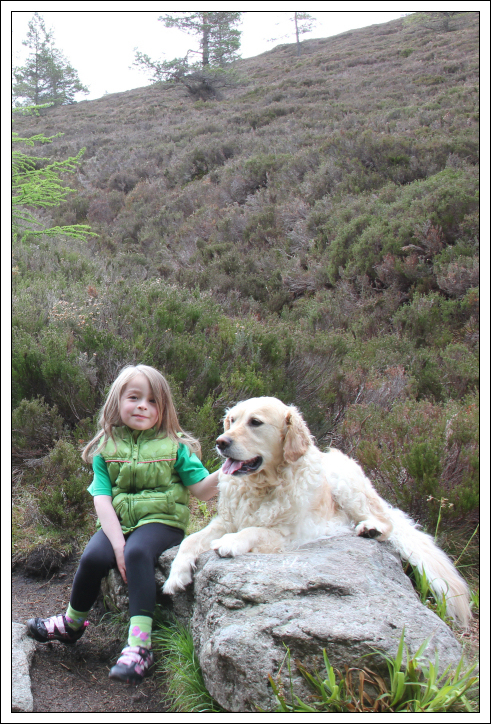 Becky enjoys hillwalking but doesn’t like strong wind. 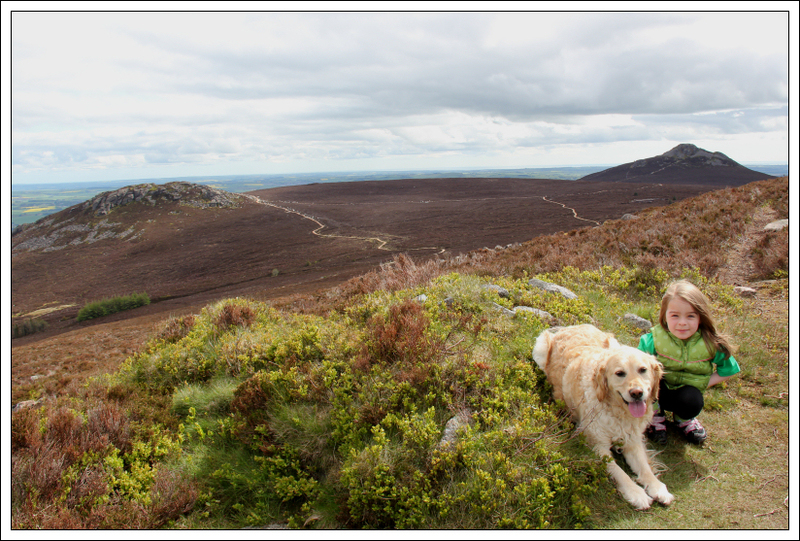 At the summit, we stopped for a bite to eat. 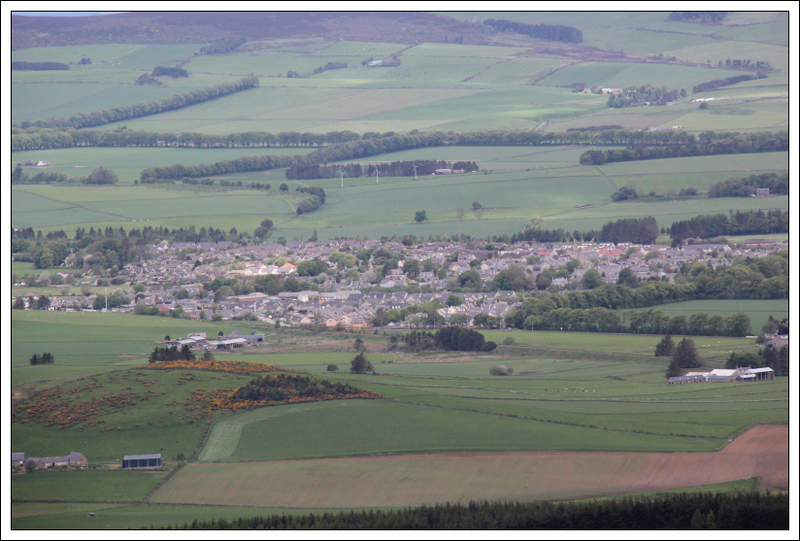 From Oxencraig, we debated whether to head fro Craigshannoch or Mither Tap first. 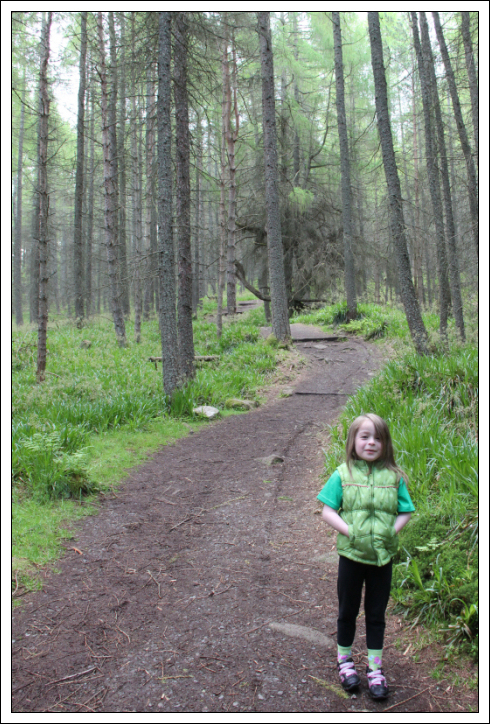 We opted for Mither Tap. 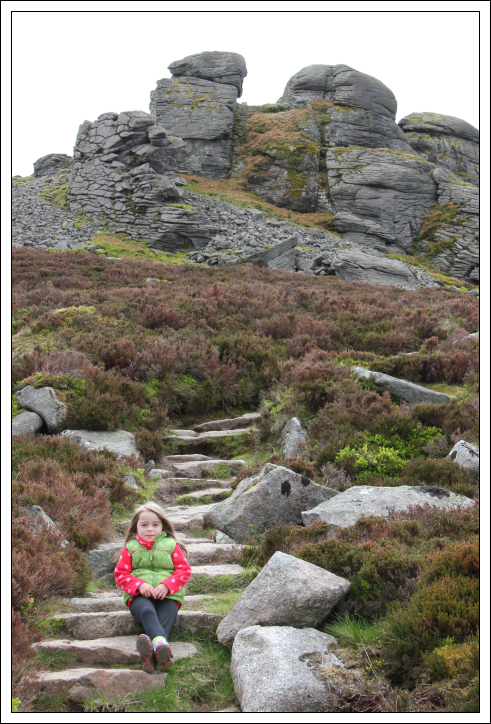 As we got closer and closer to Mither Tap, I think Becky was wondering how on earth she would get up it. 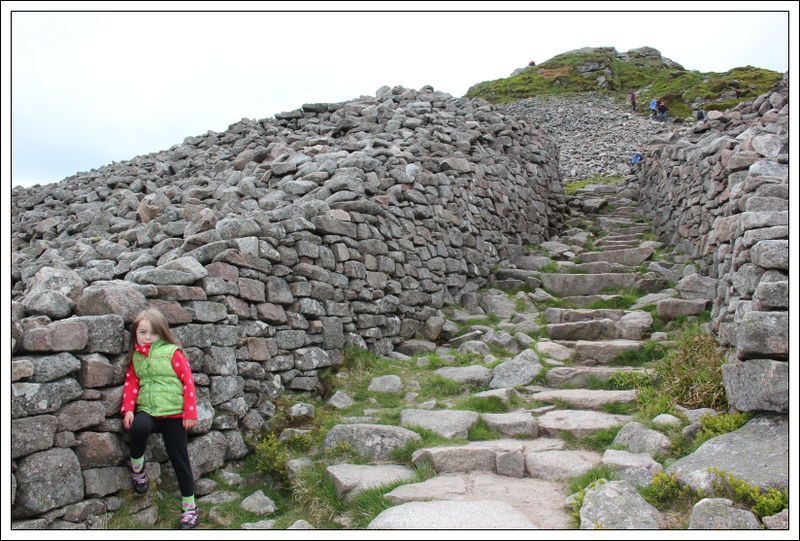 The ascent is much easier from round the back . 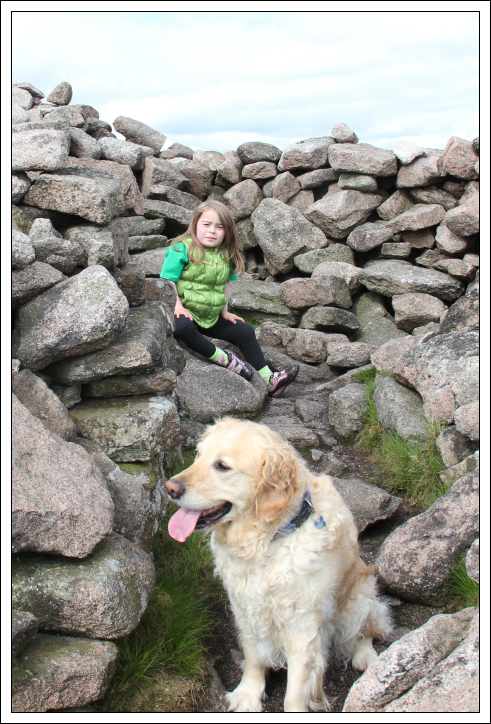 After skirting round the back of Mither Tap, we made our final ascent up through the old fort. 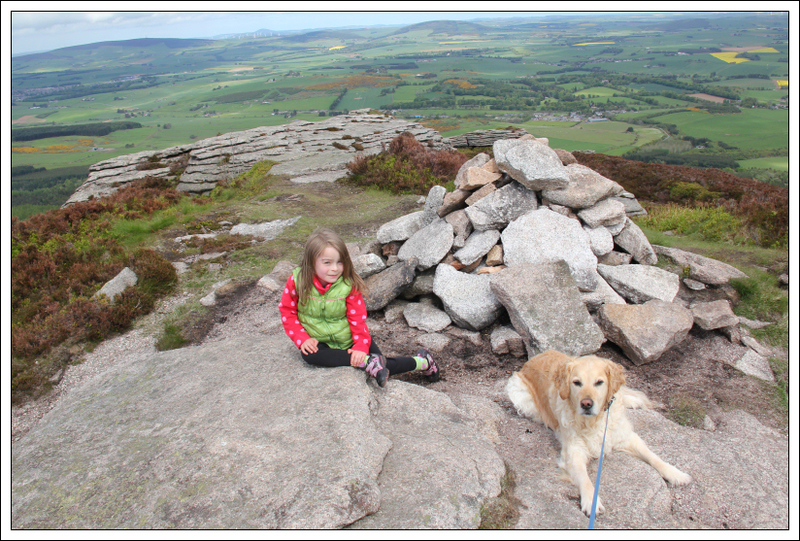 We didn’t hang around for long at the top of Mither Tap as again it was a little breezy up there. 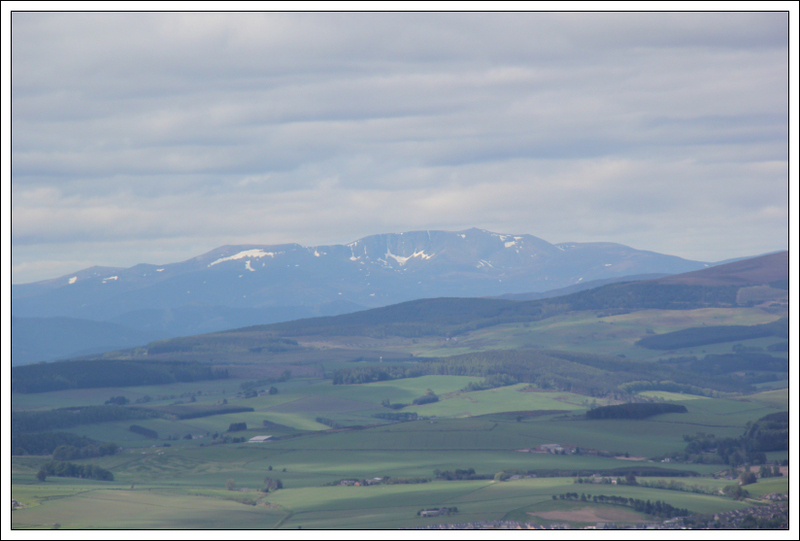 From Mither Tap we next made our way across to Craigshannoch. 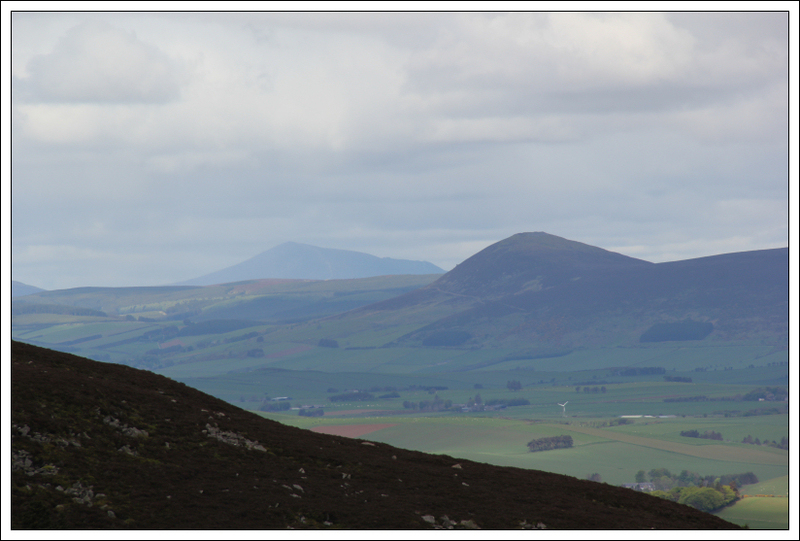 From Craigshannoch we returned to Little Ozencraig and then descended back to the Back O’Bennachie car park. 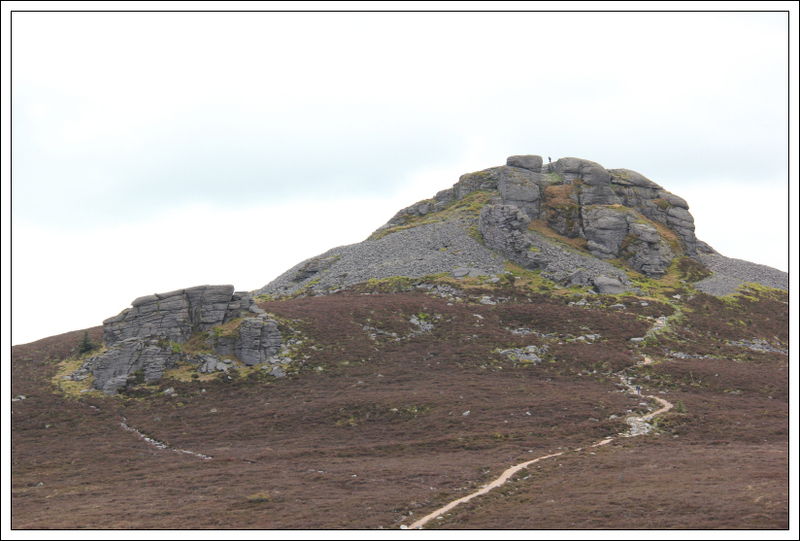 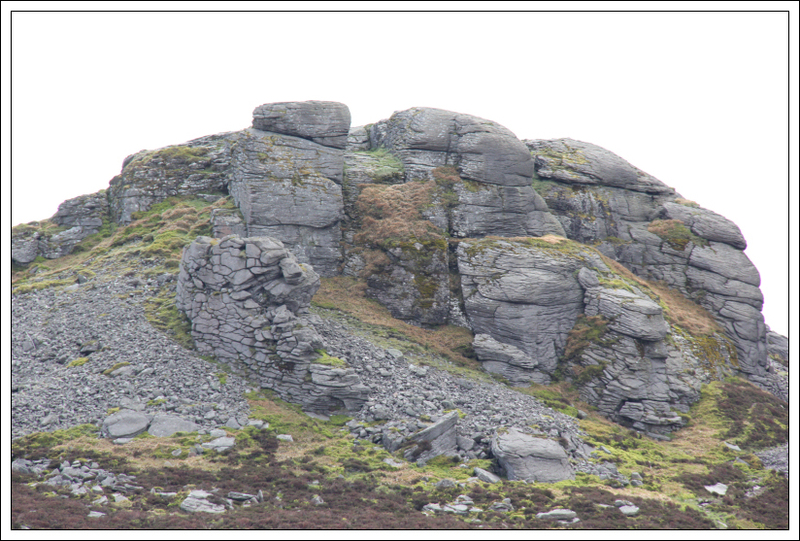 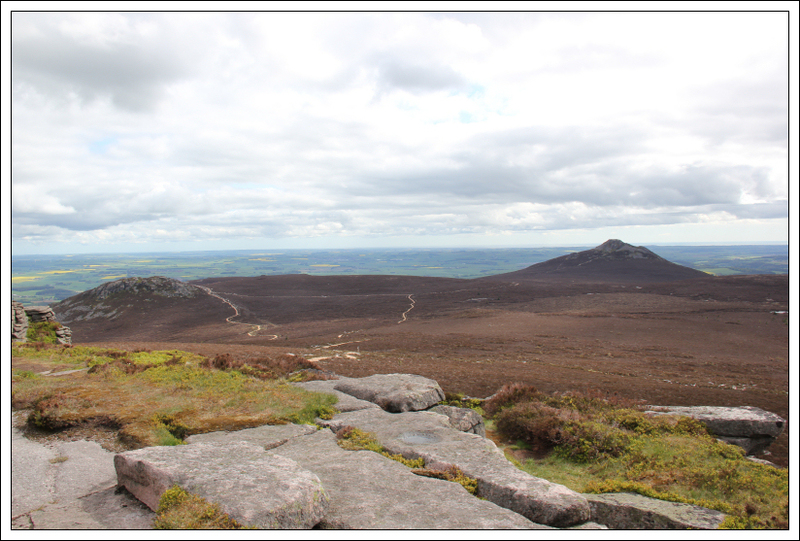 There were lots of walkers on Bennachie today- it is definitely a small mountain for the North-East masses.